MUMBAI: Guru Randhawa’s newest song, Made In India has taken the nation by storm since it dropped online. The song is trending at number one position on YouTube. 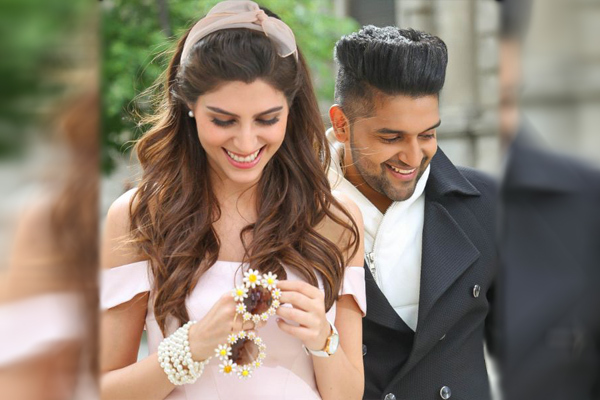 Featuring Guru in the role of a taxi driver, who tries to charm his love interest in the song, Elnaaz Norouzi, the song has already garnered over nine and a half million views on the online video streaming channel. Composed, written and sung by the High Rated Gabru singer himself, the song is also a visually enthralling treat as it showcases the beautiful locations of Milan. Also, apart from Guru’s vocals, his debut character portrayal in the song has also been received well by fans. Guru’s earlier song, Raat Kamaal Hai with Tulsi Kumar and Khushali Kumar was also a hit and has crossed over 75 million views on YouTube. Coming days will decide if Made In India garns how many views to become another chartbuster from the charming Punjabi hit machine. Directed by Gifty, Guru’s this hit number is produced by T-Series.